Google's Inbox is an interesting new Gmail alternative that until today has been available only to a select few. Inbox invites have been scarce, but Google will change that when they open the email app to anyone who asks for one hour today, beginning at 3pm Pacific Time. 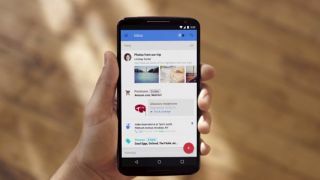 They're calling it "Inbox Happy Hour," and it will briefly make getting an invitation to Google Inbox as easy as sending an email. Google announced the Inbox Happy Hour via its @inboxbygmail Twitter account. Just send an email to inbox@google.com between 3 and 4 PT this afternoon, and Google says you'll receive an invite by 5pm. Invites may well become scarce again after that, so best to get in while the getting's good.